A birth injury refers to any damage a baby suffers during the delivery process. A birth injury is a type of injury or damage that occurs to a baby during the birthing process—usually before, during, or immediately after delivery. Common birth injuries include nerve damage, broken bones, and facial or bodily deformities. They can result from a host of causes, including those that involve a doctor’s negligence. A birth injury that occurred because of trauma during delivery, for instance, might give rise to a medical malpractice claim. If your child suffered a birth injury, your case might qualify for a medical malpractice lawsuit. The medical malpractice lawyers at Medical Malpractice Help can get you started on this process. We understand birth injury and medical malpractice law, and we can help you pursue compensation for your family’s damages. Call 855-633-2757 today for a free consultation. If a negligent doctor, hospital, or another healthcare provider caused trauma to your newborn, you might qualify for medical malpractice compensation. Many birth injuries also involved other related traumas. These can include maternal injuries, wrongful births, or even wrongful pregnancies. Sometimes the mother, not the newborn baby, suffers harm because of something that goes wrong during the delivery process. As with a birth injury, this type of trauma can result from a doctor’s negligence. A wrongful birth occurs when a doctor fails to give information to parents that would have caused them to rethink the decision to conceive the child or carry the pregnancy to term. Parents claiming wrongful birth might argue that the doctor did not conduct appropriate genetic testing prior to the baby’s conception, so the parents did not receive a warning about the complications or birth defects they or their child later experienced. A wrongful birth claim might also arise from a doctor’s failure to detect or notify parents of impending birth defects during pregnancy. The parents might sue for the lifetime costs of treating a congenital disability that, had they known about, they might have avoided by terminating the pregnancy. A birth injury can lead to a successful medical malpractice claim if your case meets four conditions. The Doctor Had a Duty of Care to the Patient. Establishing a duty of care usually requires a doctor-patient relationship. An OB-GYN, for instance, has a duty of care to an expectant mother in their medical care. The Doctor Failed to Uphold the Duty of Care. For a doctor, failing to uphold a duty of care means performing to a lesser standard than a reasonable physician faced with the same situation would. If another physician would likely have delivered the baby without causing a birth injury, the doctor in question probably violated the duty of care. The Patient Suffered Injuries as a Result. 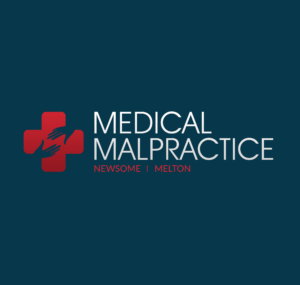 A valid medical malpractice claim requires the patient to have suffered injuries as a direct result of the doctor’s actions—or their failure to act. The Patient Incurred Damages From Their Injuries. The claim also requires that the patient incurred economic or non-economic damages because of their injuries. These damages might include medical bills, lost wages, and pain and suffering. To Schedule a Free Case Evaluation With a Medical Malpractice Attorney, Call 855-633-2757. At Medical Malpractice Help, our legal team wants to help you go after the damages you deserve for your doctor’s wrongful actions. If your child suffered a birth injury because your doctor’s care was inadequate, call 855-633-2757 and set up a free case evaluation. The damages you can recover in a medical malpractice case compensate you for the harm you suffered because of a healthcare professional’s medical negligence. Although some states use damage caps to limit the amount of money you can get, several types of damages are usually awarded in a medical malpractice case. These include economic and non-economic damages.